This article is a part of the history of Western music in Japan, which I intend to write in the near future. 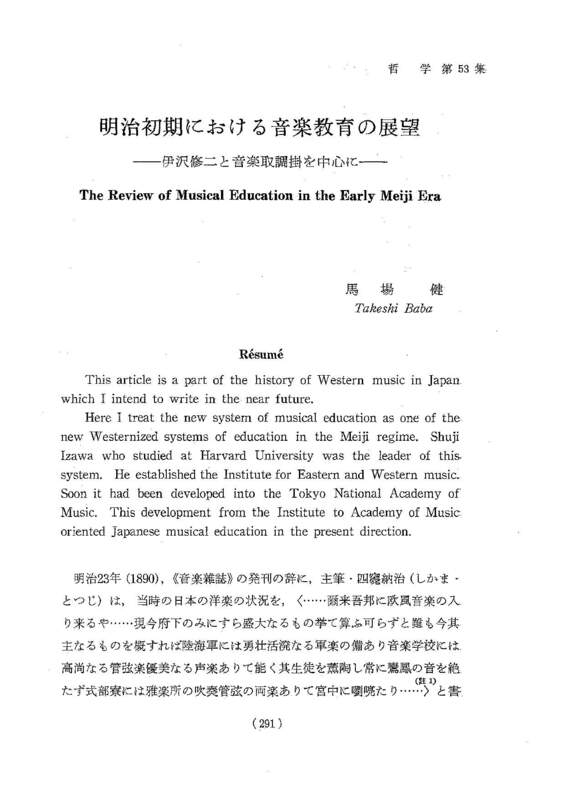 Here I treat the new system of musical education as one of the new Westernized systems of education in the Meiji regime. Shuji Izawa who studied at Harvard University was the leader of this, system. He established the Institute for Eastern and Western music.Soon it had been developed into the Tokyo National Academy of Music. This development from the Institute to Academy of Music oriented Japanese musical education in the present direction.